Reach your next customers, clients, volunteers, or donors with the Chamber's exclusive low-cost advertising opportunities. Maximize your marketing presence with targeted outreach or personalized packages for your outreach campaign. Download our Promotional Opportunities packet to learn about what options are best suited to your organization. Do you have an upcoming event? Check out our event promotions one-pager for our most effective advertising options for members to promote their events. Contact Jennifer Garry at engagement@arlingtonchamber.org or (703) 525-2400 to discuss purchasing packaging options. 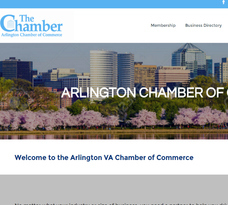 The Chamber website has about 20,000 visits per month from Arlington businesses, residents, and visitors. Contact the Membership Engagement Director to discuss where your next customers may be looking. Reach almost 4,000 active contacts by advertising in the Chamber's weekly e-newsletter "This Week at Your Chamber." This is an excellent way to reach Chamber members, prospective members, and local decision makers. 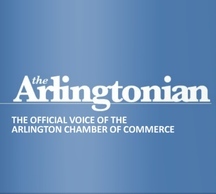 Feature your business in our bi-monthly newsletter, the Arlingtonian, distributed both digitally and in print. This is an excellent way to promote your business, as well as include notifications, event flyers, and coupons to Chamber members. Need even more ways to promote your business? We have additional options! Chamber Display: The Chamber's office receives visits from a wide variety of business people for meetings, roundtable discussions and more. Secure your slot to reach an ongoing Chamber audience. Prices start at $50. Chamber Member Mailing Labels: Looking for leads for your next print mailing? Reach main contacts at all Chamber businesses with your printed promotional materials with either printed or digital labels. Prices start at $125. For additional details, contact the Chamber at chamber@arlingtonchamber.org or (703) 525-2400. ​Included in your Chamber membership are a number of exciting free advertising benefits! Chamber Blog: Establish yourself as a thought-leader to the business community by writing for the Chamber Blog. Get started by downloading the blog guidelines and blog template. Community Calendar: Get the word out about your upcoming event(s) and programs by submitting them to the Community Calendar. Coupons: Have a great deal to offer? Share it with the public or with just Chamber members by submitting through the Members Only Portal. Business Directory Listing: All members are automatically listed on our Business Directory on the Chamber website for increased visibility and SEO.